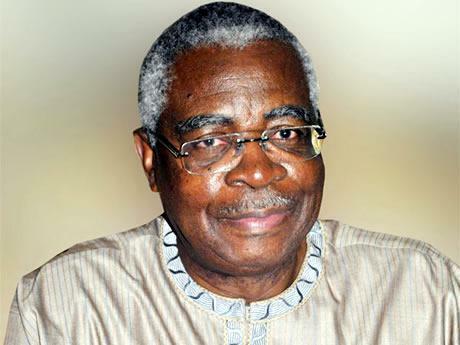 A former Minister of Defence and an elder statesman, Lt. Gen. Theophilus Danjuma (retd. ), on Saturday, told Nigerians to defend themselves against killers in the country, saying the armed forces were not ready to defend them. Danjuma made the call while speaking at the maiden convocation of the Taraba State University, Jalingo, and the 10th anniversary of the institution. The former Chief of Army Staff stated, “I am not a politician and politics is one profession I don’t want to belong to because if I am a politician, I will not say what I am going to say to you now. “When I arrived in this arena, I saw rich cultural display and I was amazed at the rich cultural heritage of our people. Taraba is a mini Nigeria with diverse ethnic groups living together peacefully, but the peace in this state is under assault. “There is an attempt at ethnic cleansing in the state and of course, some rural states in Nigeria. We must resist it. We must stop it. Every one of us must rise up. “Our Armed Forces are not neutral. They collude with the bandits to kill people, kill Nigerians. The Armed Forces guide their movements; they cover them. If you are depending on the Armed Forces to stop the killings, you will all die one by one. “This ethnic cleansing must stop in Taraba State and other rural states of Nigeria otherwise Somalia will be a child’s play. The call by the retired general, The Punch observes, came barely two days after residents of the Takum and Ussa Local Government Areas of Taraba State accused the Army Operation Ayem Akpatuma (Cat Race) of providing cover for the killer herdsmen to attack and kill villagers in the areas. The Chairman of Takum, Shiban Tikari, and his Ussa counterpart, Rimansikwe Karma, had, on Thursday, while conducting journalists round the villages attacked by herdsmen in their LGAs, accused the operatives of Operation Cat Race, currently going on in the state, of brutality, extortion and providing cover for herdsmen to kill the locals. Also, at the convocation, the state governor, Darius Ishaku, expressed delight at the growth of the university within 10 years of its establishment. Ishaku commended the founding fathers of the institution for their foresight in bringing university education to the doorsteps of Taraba people and pledged to continue to support the university to attain a world-class status. The Vice-Chancellor, Prof. Vincent Tenebe, hailed the state government for its continued support for the rapid growth of the institution, congratulating the 5, 900 graduating students from the first five sets of the university. Tenebe urged them to be good ambassadors of the institution. The occasion witnessed the conferment of honorary doctorate on Danjuma; a former minister of the Federal Capital territory, Senator Jeremiah Useni; and Ishaku. Others were the Chairman of Tony Elumelu Foundation, Mr. Tony Elumelu, and a former Executive Secretary of the Tertiary Education Trust Fund, Prof. Suleiman Bogoro. Danjuma had, earlier in the day, inaugurated the 6.75km township network of roads in Jalingo, the state capital, constructed by the Ishaku administration. Meanwhile, two Middle Belt groups and the pan-Yoruba socio-political organisation, Afenifere, have supported Danjuma’s call on Nigerians to defend themselves against killers. The President, Middle Belt Youth Council, Emma Zopmal, in an interview with The Punch, said Danjuma’s words should be taken seriously. He stated, “For him (Danjuma) to speak about the herdsmen’s killings in Nigeria at this point in time, it means the situation must be getting out of hand due to the negligence of the government or its interest in the enterprise of killings. On his part, President, National Council of Tiv Youths, Chief John Akperashi, said Danjuma’s indictment of the military should be taken seriously. He however said it was not only Taraba State that was under attack. Afenifere agreed with the retired general that the killings were as part of “an ethnic cleansing agenda” which it stated that the people must resist.